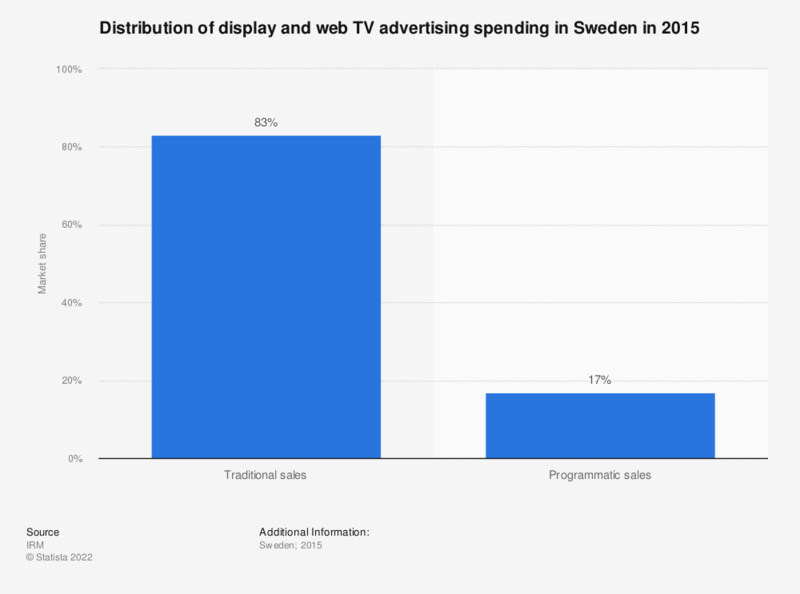 This statistic shows the distribution of display and web TV advertising spending in Sweden in 2015. Programmatic sales accounted for 17 percent of the total display and web TV advertising spending in Sweden. In 2015, the total display and web TV advertising spending amounted to 4,236 million Swedish kronor in Sweden.